Conflict arises out of disagreements with others about how we should behave/act or even think and feel. Usually, it’s not the conflict that is the problem, but how we choose to deal with it that brings us negative results and damaged relationships. 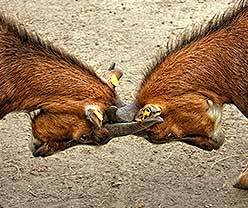 Properly handled, conflict can lead to a healthy sharing of ideas and opinions and allow us to accommodate new concepts and ideas. Conflict resolution is the process of trying to find a solution to a conflict. Ideally conflict resolution is collaborative problem-solving, a cooperative talking-together process that leads to choosing a plan of action that both can feel good about. The first step in resolving the conflict is to discover what is going on and why it is happening. Once you know this information, the second step is to match it with an intervention strategy which addresses its origins and extent. If steps one and two have not resolved the conflict OR you feel the conflict has advanced too far, then mediation is an option that can be utilised before starting down the dismissal or legal pathways. Mediation is a process which employs a range of methods—notably reason and persuasion—to bring the parties to a mutually satisfactory solution. A mediator is a neutral third party acceptable to the contending parties. Mediators seek to clarify the issues, identify what is at stake for the parties, and employ problem-solving methods and techniques. Stop your conflict from becoming World War 3 by contacting us today!